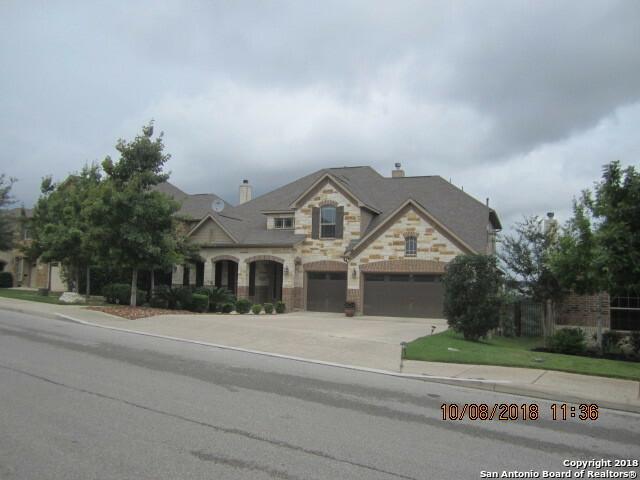 All Sonoma Mesa homes currently listed for sale in San Antonio as of 04/22/2019 are shown below. You can change the search criteria at any time by pressing the 'Change Search' button below. 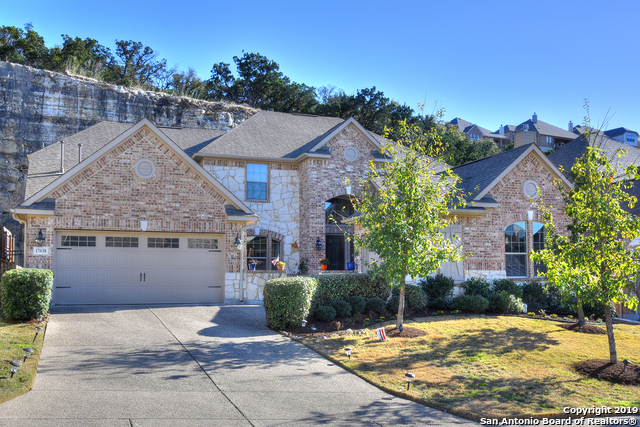 "Come and see this pristine house located in an exclusive neighborhood in San Antonio Hill Country. Close to high ranked HG Middle School and the Cantera Shopping Center area. 5 minutes to 1604 and IH-10. Six Flags 10 min, RIM at LA CANTERA 10 min, Cedar Creek Golf Course View. 3 min away, Sea World 20 min, Grey Forest Reserve like Green Belt and much more. Gated Community." "Minutes from 1604 & IH-10. 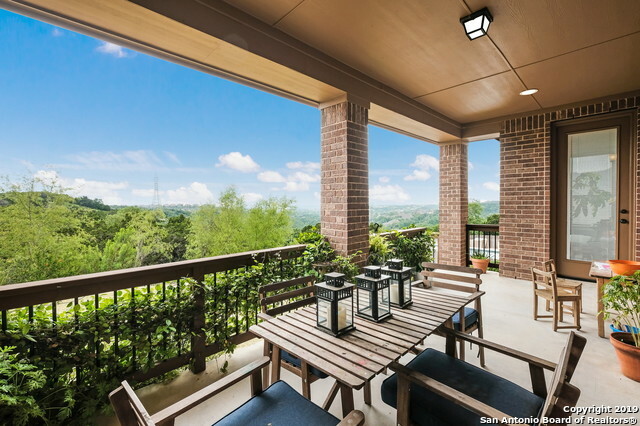 Near La Cantera Shopping, the Palladium, Six Flags, golf courses & more! This distinguished 5 bed, 4 bath in gated Sonoma Mesa is a must see with a breath-taking backyard view of a private green belt! High ceilings and natural light make the entry way feel larger than life. Separate dining is perfect for elegant holiday dinners while secondary eating area opens into the upgraded kitchen and spacious living room; ideal for family time. Top of the line media room is a gr"
"Enjoy Entertaining with a VIEW... Overlooking the Fairway of the 18th hole and Hill Country views as an extra bonus. Spacious 4 bedroom/3.5 bath home has plenty of storage and room to spread out. The large kitchen features high-end GE Monogram appliances with gas cooktop, and 42 inch cabinets. Soaring ceilings and large windows provide lots of natural light. Impressive epoxied over-sized 3 car garage. Welcome Home! Water softener, TRACK hanging in garage, 3 stained glass pictures in entry do not"
"Immaculate home in the desired Sonoma Mesa Subdivision, Open Floor plan. Wonderful upgrades thoughout. Includes: Water softener, Video security system. Chef's kitchen-Gas cooking. Master suite downstairs. Jack & Jill bathrooms upstairs. Office, Media room, cvd patio. Cedar Creek Golf Club in greenbelt. Furniture-For Sale." "An exceptionally beautiful, 5 bedroom, 4 bath home, 3 car garage, Game room. Media room, Study, gourmet kitchen w/ commercial grade stainless steel GE Monogram appliances including a 6 gas grill cook top located in the prestigious gated community, Sonoma Mesa. Master and Secondary bedroom with full bath downstairs. Ample storage. 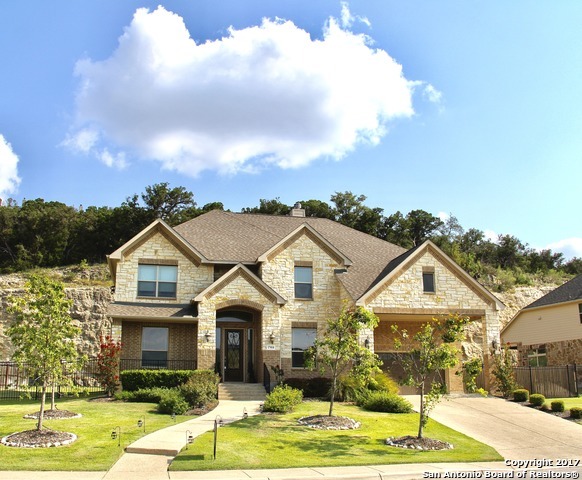 Home is in a great location offering easy access to USAA, the Medical Center, UTSA, La Cantera and The Rim, Airport and lots of restaurants. Excellent School District."